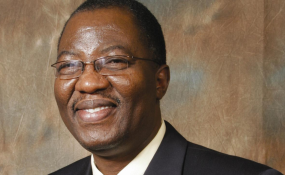 Former governor of Ogun State, Otunba Gbenga Daniel, and his loyalists are set to join the ruling All Progressives Congress (APC), barely 48 hours after he resigned from the PDP and announced his departure from "partisan politics." Daniel, who was the Deputy Chairman of the PDP Presidential Campaign Council in the 2019 polls, had served as the Director General Atiku Abubakar Campaign Organization during the PDP primaries. Daily Trust recalls that Daniel formed a last-minute alliance with the APC in the gubernatorial election in Ogun State, wherein the party's candidate, Dapo Abiodun, emerged winner. In a letter dated March 14 and addressed to the PDP National Chairman, Uche Secondus, Daniel resigned from the party and also quit "partisan politics." However, in dramatic twist, yesterday, OGD as popularly called, addressed his supporters and loyalists at his Asoludero residence in Sagamu on why "he decided to quit partisan politics." Hundreds of his supporters and loyalists rejected Daniel's position, saying "he must lead them in to APC", having worked for the victory of the ruling party's gubernatorial candidate, Abiodun in the March 9 election. The former governor said with the alliance that produced Abiodun as the governor-elect, he had returned his loyalists to the government, hence, he should be allowed to take his exit from active politics. Daniel, who described himself as an "accidental politician", said he had achieved his mission in politics. Those who kicked against Daniel's position included a member of PDP's Board of Trustees (BoT), Mrs Iyabo Apanpa, who said they could not afford to join the APC without him. A two-time lawmaker who represented Abeokuta North/Obafemi-Owode/Odeda Federal constituency, Hon Kayode Amusan, moved a symbolic motion "for Daniel to lead all his supporters and loyalists to APC", to which they all responded in a loud affirmation. After about two hours drama, Daniel left the hall without responding to his supporters' demands. Speaking with newsmen, Daniel said "they (supporters) said I could resign from PDP. They said I must lead them to APC. And they also said I cannot retire from politics; that is the summary of what I heard. Now we have to take a look at it." When asked whether he had agreed with the demand, Daniel responded "What else can I say? My people have spoken. There is not much to say."